What are the best golf courses in Ireland to play before you leave your boots? Over the years, publications such as Golf Digest, Golf Monthly, Golf World and a number of different publications created and publicised their versions of what are the top 100 golf courses in various countries. Most of the worldwide golf publications quote that the Irish Links are the best to play in Ireland. With this in mind, the top five courses in Ireland are all links-courses. 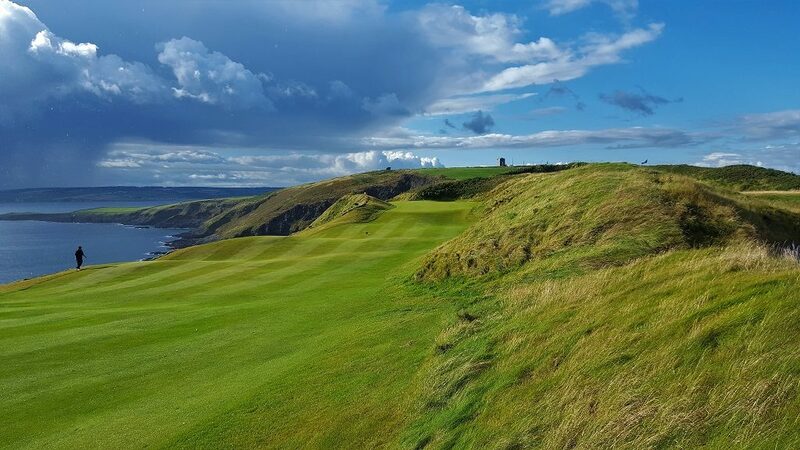 Such as Royal County Down Golf Club, Royal Portrush Golf Club, Portmarnock Golf Club, Lahinch Golf Club, and Waterville Golf Links. All of the five golf-courses are the most challenging courses to play well and post a good score. However, there are also factors that affect player’s scores such as the weather and time of year, the golfer’s ability to play golf, time of day, the playing conditions of the courses and so on. These factors all have a significant influence on how the golfer defines his or her golf experiences. Additionally, the anecdotal evidence that I have collected over the years, it that, not all golfers love the same courses. We gathered information from the various golfers that we worked with during 2018. Our approach was to converse on the quality if the gif courses played. We asked, how would they rank the courses played? Typically, the golfers were only too delighted to offer their feedback, and it was are always different. However, Royal County Down was the outstanding clear favourite course played. Indeed, a golf-course ranking method is to rank courses by different headings that sum-up a golfer’s golfing experience. Such as define course type and adding a scoring method from 1 to 10 that reflects the expectations or standard levels. Caddies service standards and overall caddie experience. The pace of play and is there an evident pace of play operation. The clubhouse facilities and food standards. Staff interaction and rate “the welcome”. 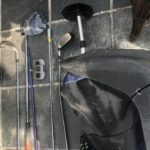 The cost to play golf. Course challenge. Test your game and play a course length that will challenge your game. Reflections, how did the golfing experience match the initial overall golfing expectations? Notably, the collection of accurate data is difficult to gather. Mainly, because a golf course is experienced is likely to be biased, equally, that experience will be influenced by social norms other piers. Therefore, rankings cannot be without bias regardless of whatever publication states that their top 100 golf-courses to play in Ireland are said to be fair and accurate. The forty courses are listed in alphabetical order, and indeed some courses are better than others. Altogether, it would be great to play the complete above list. Primarily, I would promote golfers make up their minds without the bias of social pressure on the so-called top golf courses to play. Clearly, the golfer should rank accordingly. Therefore if the golfer’s course experience was poor, he/she should write accordingly. Equally, writing a great review when the course beats expectations. Golfers can use online forums such as trip advisor and google places to record their reviews. Dooley Noted on the top golf courses in Ireland. Caddies services differ from club to club. Indeed a caddy experience adds to enjoying the golfing experiences for a number of reasons. Typically, the caddie’s character, as each caddie is very different and how they believe the game should be played is very interesting and entertaining. To avoid any disappointment, ensure to request caddies a few months in advance at each golf course that is on the trip. Golf Club Rentals. If you are on a short trip to Ireland? Certainly, it is more cost effective rent clubs from one of the Irish club rental companies rather than at the golf course. One of the main differences between the Irish and Scottish Golf Courses is the bunker design. Golfers would find that the bunkers are deeper in Scotland and possibly more challenging. However, on that note, which do you prefer, the Irish or Scottish bunkers? 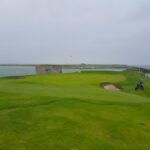 Also, the next blog post to consider is: Golf Northwest of Ireland click on the link to continue and Concierge Golf’s golf course reviews at the following link: CLICK HERE to read on. 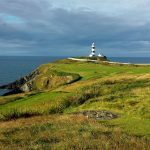 Notably, you might find interesting my top 3 Irish Golf holes to play? Please click here to read on. 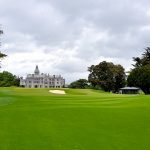 | Or read on about golf in cork Click HERE or CLICK HERE for more golf courses to play in Ireland.